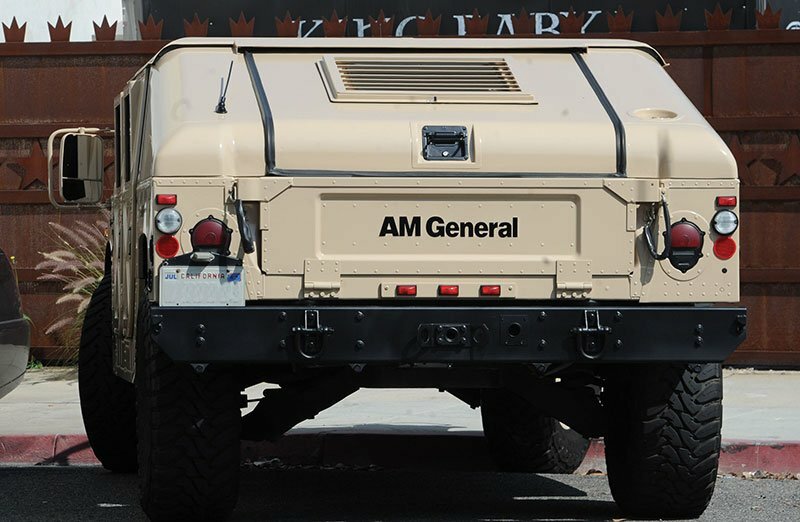 Arnold Schwarzenegger appeared to get caught up in a traffic jam with two vehicles as he left a car body shop in Los Angeles. 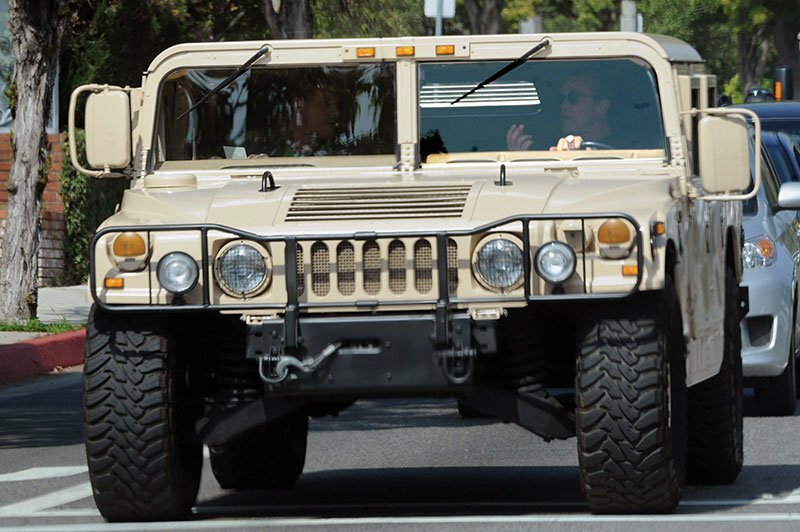 The former governor was behind the wheel of his Hummer nicknamed ‘The Terminator’ as two other cars appeared to be trying to get through. 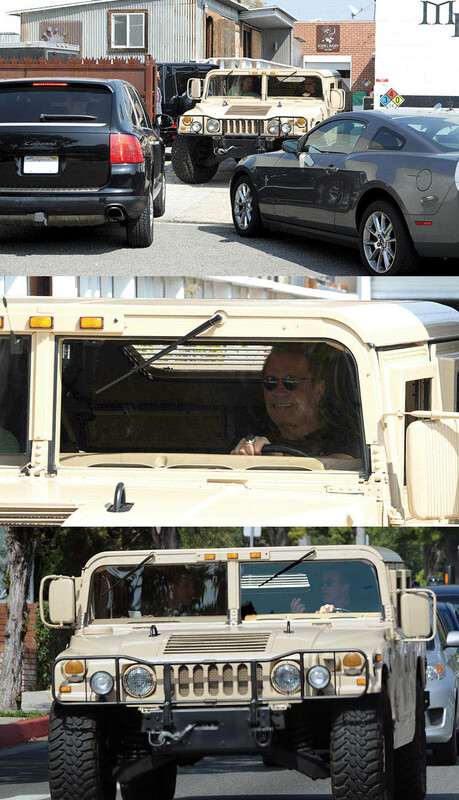 The other cars soon reversed once they saw Arnie behind the wheel. 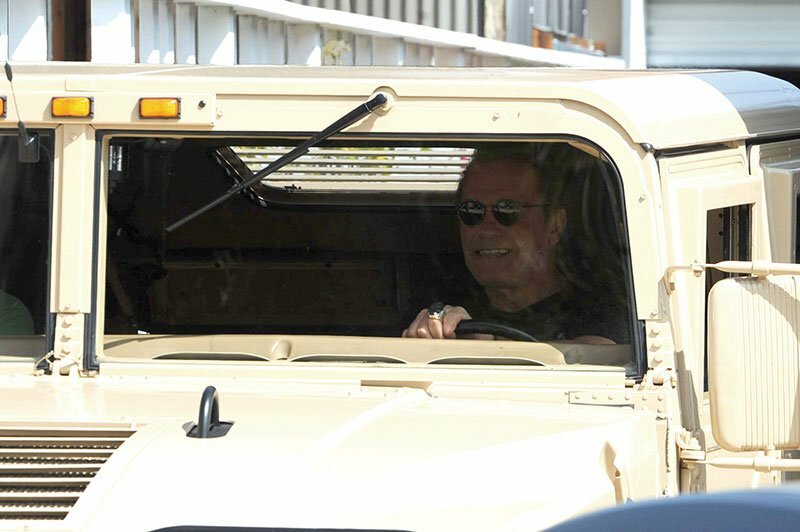 Schwarzenegger was seen laughing with a pal as he drove off. Arnold Schwarzenegger Trivia: Arnold Schwarzenegger was originally cast to play the part of Kyle Reese in The Terminator. 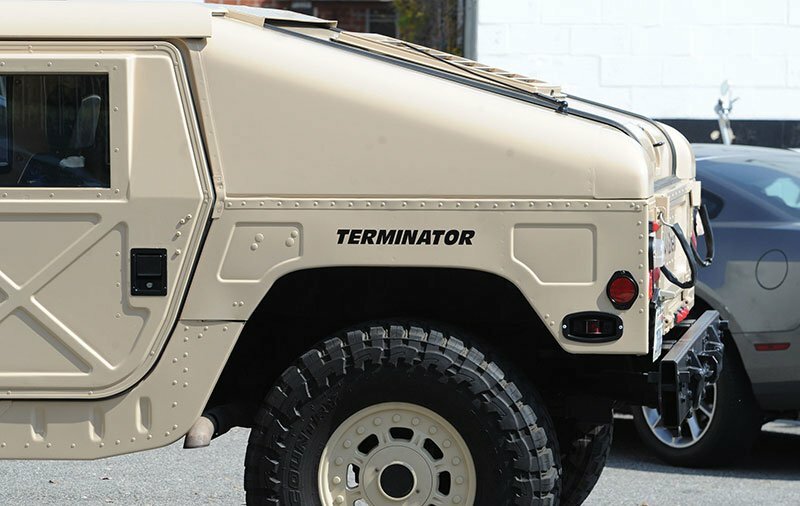 Arnie however asked director James Cameron to let him play the part of the Machine instead. 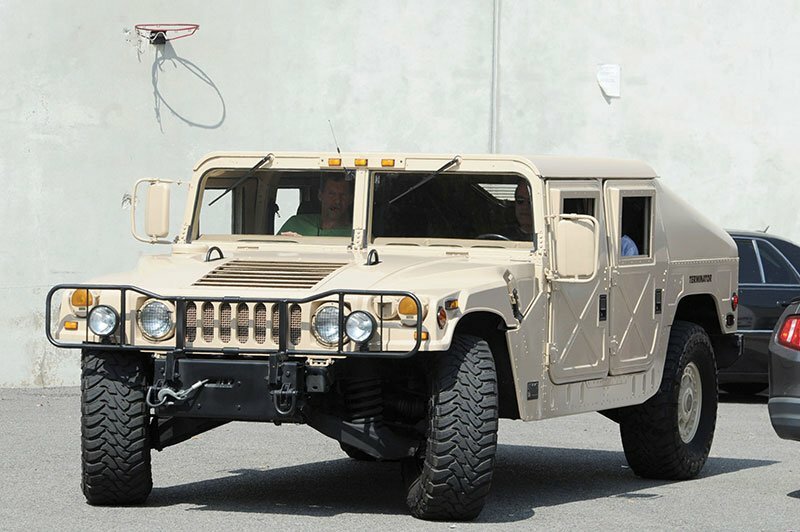 Cameron objected at first, explaining Kyle was the hero of the film. 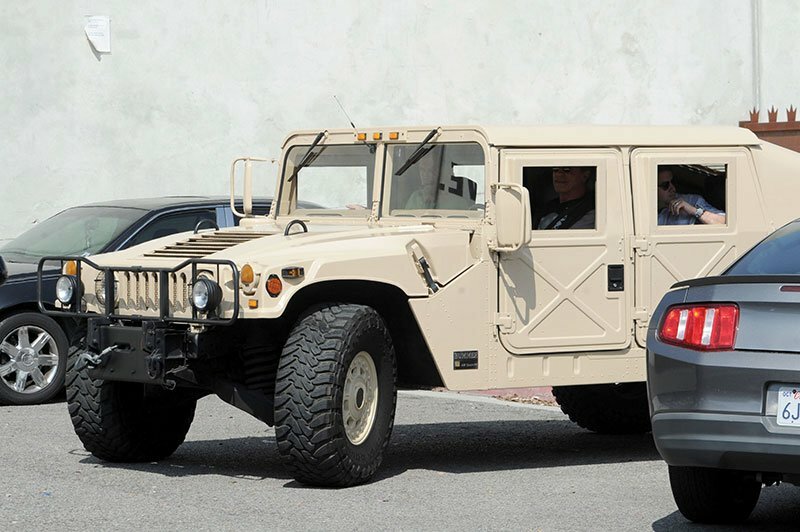 Arnie persisted and the rest is history!